UPDATE: 11/9 10:10PM: Please note there may be a possible closure of Irvine Regional Park due to the high winds and Red Flag Warning. Unfortunately, we were not officially notified by the park about this even during a phone conversation with Irvine Park earlier today. However, the website states that this closure is “until further notice” so we have to assume this may affect our event. An informal gathering of furs for a day fun and food. Starting from a small gathering, even then we felt the need to bring local friends together for a day away. 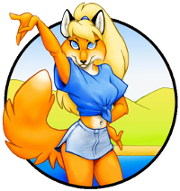 That community effort has continued, with this annual event for our community of furries and furry fans to enjoy a picnic and bbq. 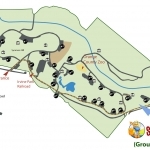 Our event grows ever year, so we have moved to a group reserved area within Irvine Regional Park. With a large section of picnic tables, we are set for any food brought to this potluck event. No shortage of different kinds of food to enjoy. The reserved area has a nice shaded, grassy area that leaves one plenty of room to run around, play sports, and frolic in fursuit. How to Get to Our Picnic Area: When you come through the park gates, take a right. You will make your way through the park, past the railroad and OC Zoo Keep going along the road until reach Lot 13 (to your left). This looks to be the end, but it isn’t. Make a right and then a left, passing some park access gates. Parking Lot 14 is the closest to our reserved camping area, but you can also continue onto 15 for additional parking. There should be some helpful signs set up along the way to help point you in the right direction. This is the 20th year we are throwing this event!!! We never seem to run out of variety because of our community of creatives and social animals. We never seem to have problems with variety and many of us are pro-active and bthat they want to see out of this event. If you want to wait until just before you get there to pick up food, the nearest supermarket is the Albertsons on Chapman & Jamboree. If you are bringing meat for the grill, please notify our grill staff. Our grills (and grilling staff) will be on both sides of you as you come up the ramp. Meat products will be stored together in separate coolers. If you have brought your own cooler for storing meat, than please make sure you keep it close to your picnic area, and have it placed in the shade. In addition to the grills SoCalFurs staff are using, there are 2 other sets of “free” grills. These grills are free to use, but please observe all grill labels. These are to help establish a grill just for fish, just for meat, and just for veggies. Staff institutes such consideration for our own grill area, and we advise the same. There is a spout nearby to get water. Please keep in mind that you will be responsible for the safety of yourself and others, and are required to clean up after yourself. For the safety of those with allergies, Please: NO FISH PRODUCTS OR PRODUCTS WITH PEANUTS! FurBQ staff wants to keep these kinds of things separate. We will not allow any fish products to be placed on the SoCalFurBQ grills. Peanut products should not be grilled… period. The FurBQ will pick up after itself for this large event. Our event ends at park close (6pm), which is due to park’s schedule during the late fall and winter months. Trash bags and tall containers to scatter around the grounds are essential for keeping our trash under control. We know many people may have time constraints, but we ask as many people to stay back and help the cleanup process be more efficient. We know that many of you like to use drones for our big fursuit group shot and to get photos not possible from the ground. We have looked into local laws. As of now, we see no specific rule barring drones in the city of Orange or within Irvine Regional Park. However, we ask all of those operating a drone to do so responsibly. We also suggest consulting the B4UFLY app from the FAA which will give real-time updates on restrictions in the Irvine Park area. All parked vehicles must be completely inside a designated parking space: If you need to temporarily double-park to unload, please leave someone with the vehicle. For those who find a parking spot next to the wall, please observe the white marked lines on the ground and park fully within the designated spaces. We cant have people parking outside of that because it can be a blockage for fire and safety, and it upsets the park rangers. While our event is held in a reserved area, the parking lot is for everyone. We encourage our attendees to carpool, when possible. Large sound systems are NOT allowed at Irvine Regional Park. This includes megaphones, car audio systems and items with large speakers. We love music and do not mind someone bringing a personal radio, but please be considerate to other groups around us. Tents and hammocks are prohibited in Irvine Regional Park. While fursuiting is encouraged at our event, we did have to talk to the park about shade structures and portable pavilions (also called “Easy Up”s). They do allow us to place such structures on our reserved area, providing that one wall (“door”) is left open in the times that no one is changing clothing. We hope that such a portable pavilion can be created for this year’s event. Hello! 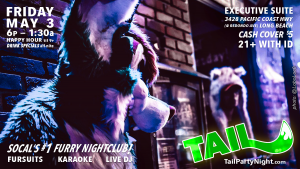 My friend and I were wondering if this event is open to thr public as we would like to go as this would be our first fursuit meet up. 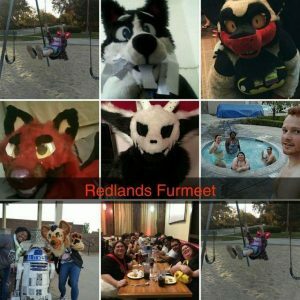 We don’t have any fursiuts, but it would be nice to meet some furries in our area. I’m also considering bringing card games for people to play! The reason as to why I’m asking is because it says that you rented a space, so I don’t know jf the public, like my friend and I, are allowed to go. Thanks for reading this and answering my question! Thanks for commenting here. 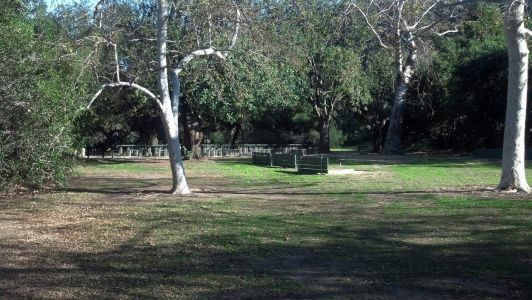 SoCal FurBQ does take place in a public regional park so we are definitely open to anyone who wants to come by. Note that, despite the public nature of this meet, we are using a paid reserved area due to the amount of furs we have (Back in the day, when we were under 100 people, we could fit in the general non-reserved picnic areas without any issues from the park). 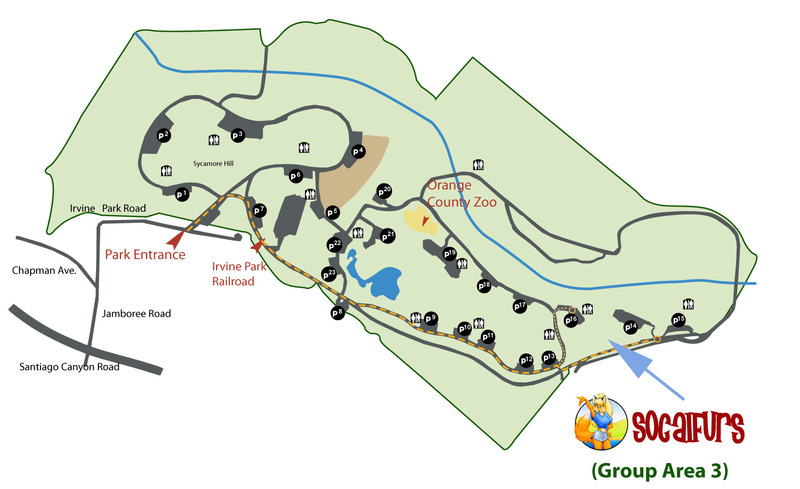 Feel free to look at the map on this calendar entry and you will be able to see where our group reserved area exists (its kind of in the “back” of the park). 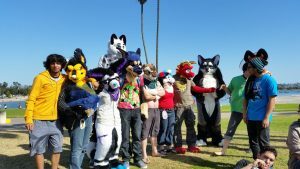 So, by all means, come by and join furries from all over Southern California for a day at the park!! Hi, I know that there’s a strict “no peanuts” policy for this meet but is it okay if I could bring a pecan pie or two to the meet? They’ll be in season by November and I’d love to bring a couple. Also, what time is the fursuit group photo? I would say a pecan pie is okay to bring, as long as you label each pie container with a notice that lets people know that the pie contains pecan pie. Im sure that the pie may already be labeled but the extra label helps make sure people read it. Most people with nut allergies are extra cautious and will read, but the bigger label will help. Will there be lactose-free food at this event? My mom is lactose intolerant and we’re deciding whether to bring our own food or just bring ice. There could very well be lactose free food at the event. In fact, most of the time people dont bring milk products due to the fact that the sunny weather could make them go bad in a cooler. However people do often bring cupcakes and, since they usually come from the standard food places, I would say its better to be safe than sorry. If you approach the picnic, and are in any doubt about whether a product has lactose or not, I wouldnt fault you for avoiding it. Yeah. Unfortunately the park never called us about this. We are checking with the park now, but it is afterhours. Chances are, we will have to wait til tomorrow morning from an update while we contact their alternate all-hours dispatch. Please check our Twitter acct to keep up to date.